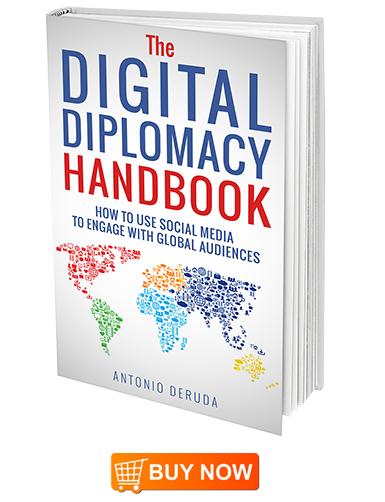 Digital Diplomacy: Why does it matter? Did social media break the communication wall at G20Turkey? Are we all digital diplomats? Digital diplomacy: All sweetness and light? 73% of the EU public services websites do not have a mobile-friendly version. It’s one of the several statistics included in the 12th eGovernment Benchmark report, issued on June 23 by the European Commission. The study assesses government online services by simulating citizen’s journeys through them, namely: losing and finding a job, studying, starting a business, moving, owning a car, small claims procedure (i.e. civil litigation for low value claims), regular business operations. The fact that only 27% of the public websites have adapted to the major trend of the online communication worldwide, the increasing rise of mobile browsing, proves that governments still have a lot to do in order to improve their communication with citizens. Posting visual content is one of the most important things to do in order to improve the social media reach. A successful digital diplomacy strategy should include photos, videos, infographics or other graphs. Here is an handy little guide, created by QuickSprout, with the major types of visual content, the best tools to prepare original visuals and tips on creating the most compelling designs. An interesting post on Social Media Today enlists the 21 most relevant channels and tools a digital strategist needs to be aware of. There are a lot of platforms, not only the most popular ones such as Facebook, Twitter, LinkedIn, Instagram or YouTube.